Age UK Cambridgeshire and Peterborough is a local independent charity working with and for older people across Cambridgeshire and Peterborough. We provide a wide range of vital services and support to older people across the county. Our mission is to promote the well-being of all older people and to help make later life a fulfilling and enjoyable experience. Much of our work would not be possible without the incredible support we are given by our volunteers. Volunteers help us in a variety of roles and particularly in relation to volunteer visiting/befriending, helping to reduce loneliness and social isolation. Are you interested in health research? Would you like to help us improve our research studies? Members of the public and patients offer our researchers valuable new perspectives. When health researchers and people who aren’t scientists talk together, the design and course of a research study can be improved. This has many potential benefits for research participants and patients. 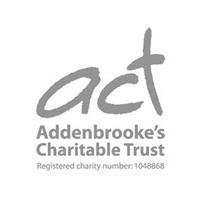 Addenbrooke’s Charitable Trust (ACT) is the only charity dedicated to making a difference for patients at Addenbrooke’s and the Rosie hospitals. With the help of many generous supporters, we provide additional funds so that your local hospitals can offer the very best care day after day, year after year. Volunteers make a huge contribution to ACT by giving their valuable time to help inspire and enthuse the community to fundraise for the hospitals. • Do you like meeting people and hearing what matters to them? • Might you have/develop the gifts to discern and encourage people in their spiritual journey(s)? • Would you like to find out more about Chaplaincy and Spiritual Care at CUH? The CUH Chaplaincy Department has a large and well-established team of volunteers. 1. As a Chaplaincy Ward Volunteer: ‘adopting’ a ward and visiting patients on a regular (usually one 2-3hr session per week) basis. 2. As a Chaplaincy Sunday Volunteer: taking Holy Communion to &/or praying with patients who have asked for a bedside visit on Sunday mornings (approximately 9am-1pm). And/or: collecting patients in wheelchairs (by request) so they can attend the 11am Service in Chapel. Volunteers usually commit to doing this on a regular Sunday (e.g. first) each month (as possible). Our aim is to help Addenbrooke's patients pass the time more pleasantly by visiting them on the wards and producing radio programmes that are tailored to their needs. In doing so we provide companionship and light relief to patients by providing a unique free radio service that encourages patient participation and is run with the needs and taste of patients in mind. Radio Addenbrooke’s is run by 30+ volunteers, age range 16 to 80+ years who gain great satisfaction from meeting patients and playing their music requests. Without the incredible effort and dedication of volunteers, Macmillan just wouldn’t be able to support the millions of people affected by cancer in the UK today. Looking After Someone? We can help. Carers Trust Cambridgeshire offers a full range of information and access to Carers Support Services including breaks, emergency planning and assessments. The Theodora Children’s Charity send professional performers, known as Giggle Doctors, to visit children at Addenbrookes Hospital each week. A stay in hospital can be frightening for a child but the Giggle Doctor visits help to improve the well-being of these young patients, reducing distress and anxiety, increasing opportunities for play and generally improving their experience of hospital. Two Giggle Doctors visit Addenbrookes each week and during each four hour visit, Dr Fab, Dr Pop-a-long and the other Giggle Doctors will tailor each interaction to the child, whether it’s a joke, a song or simply companionship. It is not always about laughter, sometimes the focus of the visit might be on music, magic or storytelling. The children are not just spectators but participants in the experience. Our Giggle Doctor have all completed our extensive training programme including modules on child development, infection control, the impact of illness on families, and how to adapt artistic skills to the hospital environment. The Giggle Doctors are also trained in ‘intensive interaction’, a technique which has been shown to improve communication skills of disabled children who have severe communication difficulties. Giggle Doctors always get permission from the child before approaching them. At present the Giggle Doctors bring magical moments to 30,000 children each year at 20 hospitals, 3 hospices and 2 specialist care centres across England. Maggie’s Wallace provides free practical, emotional and social support for people with cancer and their families and friends. Located in the grounds of Addenbrooke’s hospital our centre is a warm and welcoming place with professional staff on hand to offer the support people need to find their way through cancer. 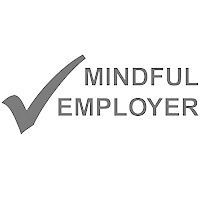 Maggie’s Wallace is place to find practical advice about benefits and eating well; a place where qualified experts provide emotional and psychological support; a place to meet other people or simply to sit quietly with a cup of tea. More details of our programme and activities can be found on our website, or telephone the centre if you would like to speak to one of our cancer support specialists. Headway Cambridgeshire provides specialist services and support to people with a brain injury and their families.